LTPP monitoring helps with understanding pavement behaviour under different traffic loading and environmental conditions. Prediction of pavement performance under various conditions is a critical element in managing high-cost pavement assets in terms of the potential cost savings on maintenance and rehabilitation activities. 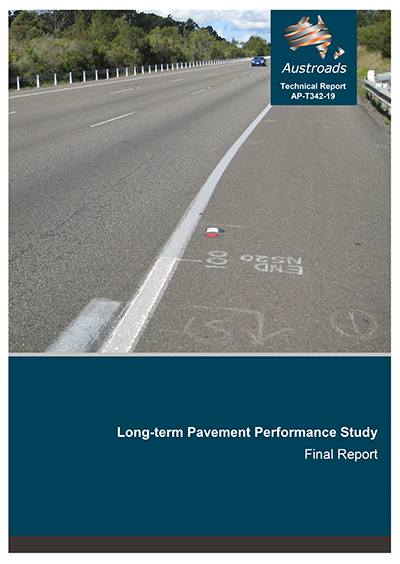 investigate the quantitative influence that various maintenance surface treatments had on long-term pavement performance, as determined by the long-term pavement performance maintenance (LTPPM) portion of the study. The development of interim network-level functional and structural RD models for flexible pavements. These models along with WE models were installed in the pavement management system used by the NSW, Victorian and Western Australian road agencies. The development of asphalt and seal life prediction model based on bitumen hardening from more than 257 asphalt and 124 seal samples collected across the country. A comparative analysis of in-service LTPP pavement data from Victoria, Queensland and South Australia with ALF experimental data which confirmed that pavement performance predictions made from the ALF pavements were generally comparable with the performance of in-service pavements. Probabilistic RD model development using a decision tool software @Risk. Trialling a new probabilistic modelling approach using a data condensation technique known as stochastic information packet to explore the possibility of adopting the approach in a pavement management system. Development of guidelines for the establishment and monitoring of LTPP and LTPPM sites. A comparison between the asphalt pavement performance of the LTPP sites and the US SHRP‑LTPP sites showed that the US non-freezing zone and Australian pavements experienced similar structural and functional deterioration. An investigation of the influence of maintenance and surface treatments on pavement performance was based on the data collected from eight LTPPM sites from 1998 to 2018. The progression rate of each observed distress, i.e. deflection, roughness, rutting and cracking, was used as a performance indicator. The periodic maintenance treatments such as geotextile reseals, polymer modified binder (PMB) reseals and normal reseal treatments helped reduce the rate of deterioration in terms of roughness, rutting and cracking as expected. The LTPP data has been is frequently used by researchers and academia inside and outside Australia. Join us for a free webinar on Thursday 7 March 2019, 1pm AEDT for an overview of this study by the report authors Lith Choummanivong and Dr Tim Martin. No charge but registration essential. Can’t make the live session? Register and we’ll send you a link to the recording. Register now!